Full diagnostic workup of a cute foot drop should take into consideration peripheral versus central etiologies. Department of Orthopedics, Rabin Medical Center, Hasharon Hospital, Petah-Tikva, Israel. Introduction: Common causes for foot drop are peroneal mono-neuropathy or sciatic neuropathy and lumbar root compression. Central nervous system pathologies leading to isolated drop foot are rare etiologies with unknown incidence. Case Report: Our patient had a brain tumor manifested as acute onset foot drop accompanied by low back pain, leading us to look for a lumbar pathology. In this case study, we describe the clinical management from the first encounter to diagnosis. Conclusion: Full diagnostic work up of acute foot drop should take into consideration peripheral versus central etiologies. Foot drop, meaning weak dorsiflexion, is principally due to tibialis anterior (TA) muscle dysfunction which may be accompanied by extensor hallucis longus (EHL) and extensor digitorum longus (EDL) weakness. Common causes for foot drop are peroneal mono-neuropathy (most common cause), sciatic neuropathy, or lumbar root compression . Central nervous system pathologies are rare etiologies with unknown incidence. Reported cases include cerebral infarction, Budd–Chiari malformation, meningioma, thoracolumbar or cervical myelopathy, thrombosed epidural vein, and brain tumors [2, 3, 4, 5, 6]. Full diagnostic workup should take into account both peripheral and central etiologies. Any injury to the neurological pathway that enables ankle dorsiflexion may lead to foot drop. This includes the brain, the spinal cord, the nerve roots, the lumbosacral plexus, the sciatic nerve, and the peroneal nerve. Peripheral neuropathies are the most common causes of foot drop. Etiologies include trauma, external compression, nerve entrapment, infection (particularly syphilis), space-occupying lesions, and metabolic dysfunction such as diabetes and iatrogenic factors . Radiculopathies can often be distinguished from neuropathies in that radiculopathy is typically associated with back pain and numbness, while neuropathies are usually painless. Most leg muscles have a dual root innervation, and it is assumed that TA is innervated primarily by L4 and secondarily by L5. EHL and EDL are primarily innervated by L5 and secondarily by L4 and S1 . Although foot dorsiflexors are typically innervated by the L5 nerve root, there may be considerable segmental overlap and anatomical variations, adding to the complexity of innervation . TA and EHL are innervated by the L5 root in 90% of cases. A significant minority of individuals (up to 10% of the population) have an anatomical variant in which the S1 root innervates these muscles . Foot drop due to spinal stenosis involves at least two levels of nerve roots in two-thirds of patients [9,10]. Another location that might theoretically cause drop foot is the brain. Parasagittal brain lesion may compress the leg area of the motor cortex and result in an isolated paraparesis . A brain lesion that specifically compresses the neurons responsible for foot dorsiflexion is rare, and the neurological injury is often more widespread. 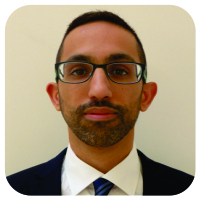 Eskandari et al. reported 6 cases of brain lesion related foot drop. Of those, only 2 had foot drop as the main presenting symptom. However, it was not stated if the cases were acute or slow in onset. In this case report, we describe a highly unusual presentation of sudden onset foot drop as the main presenting symptom in a patient with an undiagnosed brain neoplasm. A 53-year-old female patient presented to the emergency department (ED) due to low back pain and acute foot drop. 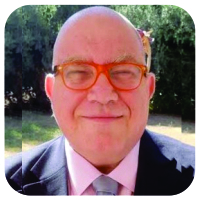 Previous medical history was remarkable for psoriasis and inflammatory arthritis currently inactive due to treatment with sulfasalazine, as well as a smoking history of 20 pack-years. The patient was physically active and worked as a housekeeper. The chief complaint was low back pain, radiating to both legs, present for over a year. 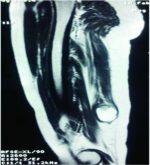 A lumbar computed tomography (CT) performed a couple of months before her ED visit demonstrated a protruded L5-S1 disc. She arrived at the ED due to an exacerbation of low back pain at the previous week. For 48 hours before the ED visit, she experienced a sensation of heaviness in the RT leg and subjective weakness of the foot dorsiflexors. Red flag questions were negative, including trauma, night pain, fever, chills, sweating, loss of urine or bowel control, and weight loss. No other complaints were present. On physical examination, the patient had great difficulty walking. Normal strength and reflexes were observed in the upper limbs and left leg. Examination of the right leg indicated slightly decreased strength in the iliopsoas and quadriceps muscles with nearly complete paralysis of the TA and toe extensors. Toe flexors, foot intrinsic muscles and tibialis posterior were all found to be normal. Sensation was decreased along L5 and S1 dermatomes of the right leg. Straight leg raise test (SLR) was positive on the right side, and knee reflex was normal. No pathological reflexes of the right leg were observed. The plantar reflexes were normal including flexion of the great toe when induced by stimulation. The peripheral vascular examination was normal in both legs. In regard to our patient, it was originally thought that the cause of the foot drop was lumbar in origin; therefore, we started our investigation with a new lumbar CT. The CT showed the known L5-S1 disc protrusion, located centrally and to the right with diffuse degenerative changes as well as sclerotic changes in facets and SIJ bilaterally (Fig. 1-4). There were no significant changes between the two scans. Since the CT findings did not explain the multi-root pathology noted on physical exam, a magnetic resonance imaging (MRI) with gadolinium injection was performed. The MRI demonstrated disc protrusions, severe right foraminal stenosis at the L5-S1 level and mild foraminal stenosis of the left side at the same level. No central spinal stenosis was observed, and the MRI signal suggested normal cord anatomy (Fig. 5-7). Since the imaging findings did not support a mechanical lumbar cause for the foot drop, an extra-skeletal cause was sought. A pelvic and hip CT scan ruled out any pelvic pathologies that could damage the peripheral nerves. A brain CT was ordered since the low back and pelvis were already ruled out as the source for the nerve damage pattern. The brain CT revealed a hemorrhage of 2.5cm in diameter with peripheral edema located in the left parietal lobe white matter (Fig. 8). MRI scan suggested an aggressive brain tumor. During the next few days, the symptoms worsened, and the patient lost her ability to move her right hand. The patient presented with chronic low back pain that had worsened over the last week. At the time of the initial ED visit, right foot drop was present, as well as a positive right SLR test. Red flag questions were negative. The clinical picture was typical for a lumbar disc herniation, especially in light of her known discopathy. However, her physical exam suggested a multi-root involvement. The source lied in either a spinal-stenosis type of multi-root involvement or an extra-spinal pathology. While inflammatory arthritis was a possible explanation for multi-root neuropathy, this is highly unlikely in an arthritis patient in remission. Considering that most neuropathies present with silent foot drop and that no obvious cause for neuropathy was suggested by the history, peripheral neuropathy was not likely. This case presents a rarely seen extra-skeletal source of acute foot drop in a patient with fast deterioration. The acute onset was due to the peri-tumor hemorrhage and not due to the space-occupying effect of the tumor itself. 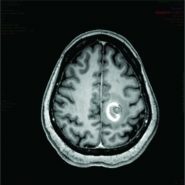 The parasagittal location of the tumor could explain the clinical manifestation in our patient as observed in other case reports of tumors located in the same part of the brain [5, 6,11]. The low back pain present at the time of the foot drop was not explained by the brain pathology. This may have been an incidental finding since low back pain is a very common problem in the general population. 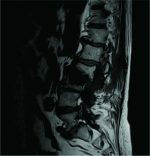 This rare presentation serves to remind us again that the differential diagnosis for multi-root lumbar radiculopathy includes a wide variety of causes including spinal tumors, spinal infection, peripheral neuropathy, vascular anomalies of the spine, plexopathy, pathologic fractures, anterior horn cell disease, muscular diseases, and brain lesions. 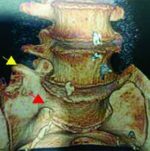 The high prevalence of incidental pathologic findings on spinal imaging among the general population may result in false positive findings and misdiagnosis. A high index of suspicion, as well as careful physical exam, is the key for proper diagnosis. Acute low back pain accompanied by a cute foot drop is most commonly caused by lumbar radiculopathy. This case study describes a brain tumor causing acute parasagittal brain hemorrhage that initially appeared as lumbar radiculopathy and might have jeopardized the patient’s life. Every patient presenting with a cute foot drop should have a prompt clinical work up to rule out potentially devastating pathologies. Our case study serves as a reminder that when foot drop is present and lumbar radiculopathy has been ruled out, continuing the investigation into the cause of the foot drop is still an urgent priority. 1. Stewart JD. Foot drop: Where, why and what to do? Pract Neurol 2008;8:158-69. 2. Kim JY, Kim DK, Yoon SH. Isolated painless foot drop due to cerebral infarction mimicking lumbar radiculopathy: A case report. Korean J Spine 2015;12:210-2. 3. Jayamanne C, Fernando L, Mettananda S. Chiari malformation Type 1 presenting as unilateral progressive foot drop: A case report and review of literature. BMC Pediatr2018;18:34. 4. Westhout FD, Paré LS, Linskey ME. Central causes of foot drop: Rare and underappreciated differential diagnoses. 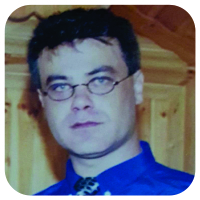 J Spinal Cord Med 2007;30:62-6. 5. Eskandary H, Hamzei A, Yasamy MT. Foot drop following brain lesion. Surg Neurol 1995;43:89-90. 6. Lee YS, Wang PY. Foot drop caused by a brain tumor: A case report. Acta Neurol Taiwan 2009;18:130-1. 7. Wang Y, Nataraj A. Foot drop resulting from degenerative lumbar spinal diseases: Clinical characteristics and prognosis. Clin Neurol Neurosurg2014;117:33-9. 8. Young A, Getty J, Jackson A, Kirwan E, Sullivan M, Parry CW. Variations in the pattern of muscle innervation by the L5 and S1 nerve roots. Spine (Phila Pa 1976) 1983;8:616-24. 9. Guigui P, Benoist M, Delecourt C, Delhoume J, Deburge A. Motor deficit in lumbar spinal stenosis: A retrospective study of a series of 50 patients. J Spinal Disord1998;11:283-8. 10. Iizuka Y, Iizuka H, Tsutsumi S, Nakagawa Y, Nakajima T, Sorimachi Y, et al. Foot drop due to lumbar degenerative conditions: Mechanism and prognostic factors in herniated nucleus pulposus and lumbar spinal stenosis. J Neurosurg Spine 2009;10:260-4. 11. Bhatoe HS. Wrist drop and foot drop in cerebral cortical lesions. Med J Armed Forces India 1998;54:167-9. How to Cite This Article: Dolev A, Robinson D, Yassin M. A Central Nervous System Tumor Mimicking a Lumbar Spine Pathology Causing Acute Foot Drop: A Case Report. Journal of Orthopaedic Case Reports 2018 Sep-Oct; 8(5): 78-81.